Describe the plan conceived for the Empire State Building project for meeting the goal of not only protecting the public and workers but also to allow for the strengthening of the mast and tower without having to resort to sidewalk bridges. Detail the potential benefits of a composite structural-steel frame instead of a steel frame around a reinforced concrete core in Seattle’s Rainier Square Tower project. 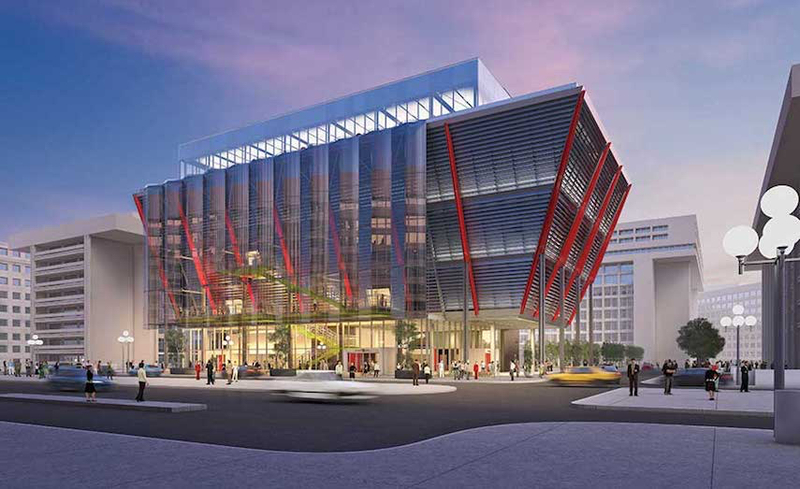 Discuss the structural challenges and various solutions for the construction of Washington, D.C.’s Espionage Museum, specifically as they relate to the project’s use of steel and metal. Identify ways in which structural and composite steel were used in the featured projects to meet performance and aesthetic design goals. From the Empire State Building to Seattle’s Rainier Square Tower and Washington, D.C.’s striking International Spy Museum, steel plays a major role in the integrity, strength, safety, seismic design, and even aesthetics of these unique structures. Through content from the editorial pages of Engineering News-Record, this course takes an engineering perspective on a number of high-profile construction projects that use steel as a building material. 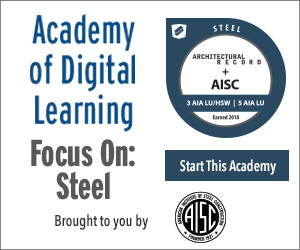 Additionally, the course includes excerpts from a 1927 essay by Frank Lloyd Wright in which the famed architect provided an overview of steel’s unique role as a desirable building material in contemporary design. The goal was to increase the carrying capacity of the mast. A team in earthquake-prone Seattle is daring to deliver an 850-ft-tall “proof of concept” for a composite structural-steel frame, instead of a steel frame around a reinforced concrete core. Concealment is a necessary skill in espionage, but many of the secrets behind the new International Spy Museum are hidden in plain sight.